Samavat Rice Dosa Dosa are thin crispy dosas prepared using Sama ke chawal for consuming during Navratri vrat or fasts. 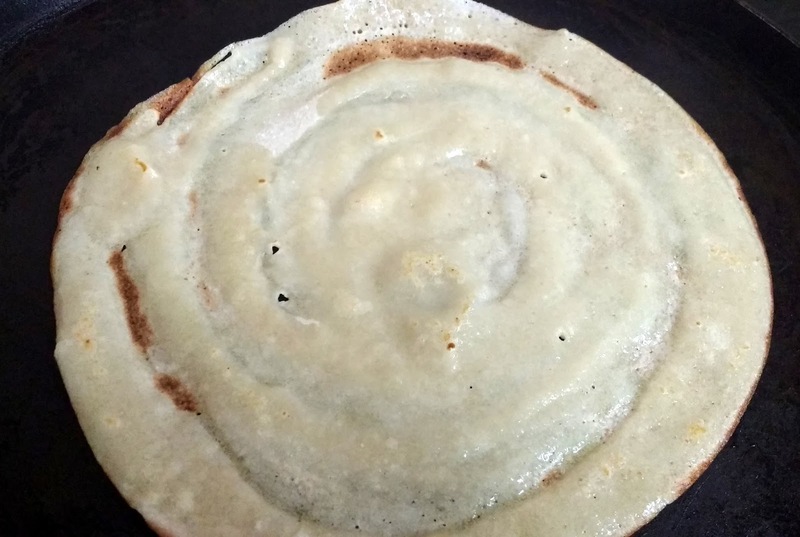 These dosas are also called Farali dosa or Upvas dosa. These dosas can be made and eaten otherwise also. Normally Dosa is prepared using rice and urad dal. However as we do not eat any kind of grain or gluten during fasting, these dosas are prepared using mainly Samavat rice. 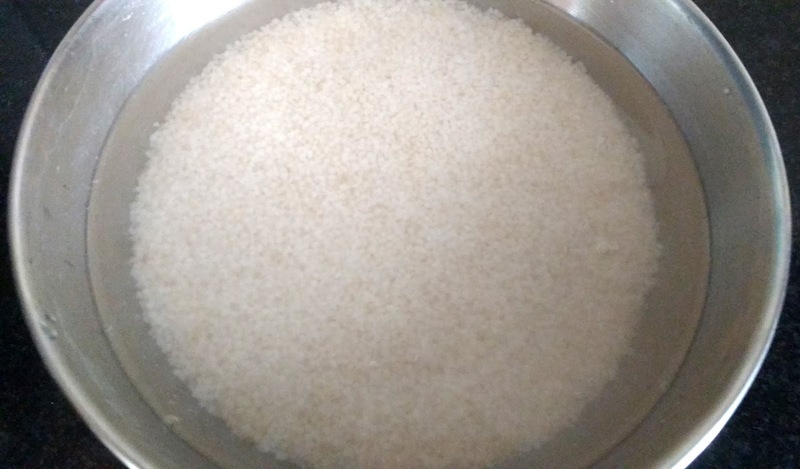 Samavat rice is also known by other names like Sama ke chawal, Bhaggar, Barnyard millet or Upvas ke chawal. 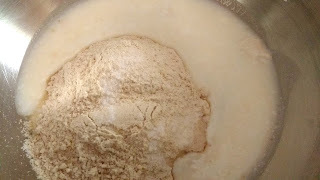 I have added here Rajgira flour or Amaranth flour also. In case it is not available, you can replace it with Singhara (Water chestnut) flour. The recipe is quite simple and easy to prepare. Below I have explained each step along with image. *The curd should be thin and lump free. 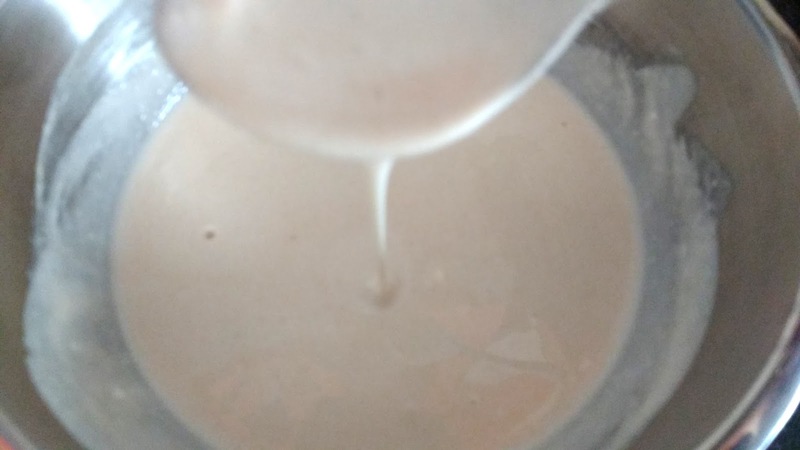 If you have thick curd, mix some water in it. Wash Samavat rice or sama ke chawal thoroughly. Soak them in water for 2 hours. Add soaked rice in a blender jar or food processor. Grind to form smooth paste. If required, you can add one tablespoon of water during grinding. To the rice paste, add Rajgira aata, Sendha namak and sour curd. Please make sure the curd is thin. Mix well all the ingredients. The batter should not be thick nor watery, just the pouring consistency. Cover and keep it aside for 30 minutes. Heat a non stick pan. Prepare it by rubbing some oil on it with a tissue or cloth. Switch the gas to lowest heat before you start spreading the dosa. Take a ladle of dosa batter and spread it in thin round shape. Switch the gas to Medium-High now. Take spoonful of oil and spread it around dosa as shown below. Cook till dosas are crisps. 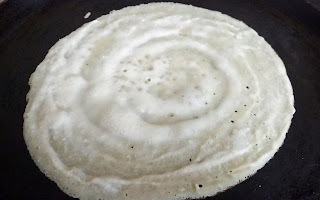 If you are not able to spread the dosa thin, then you may require to flip and cook it from other side as well. Gently roll them when hot. 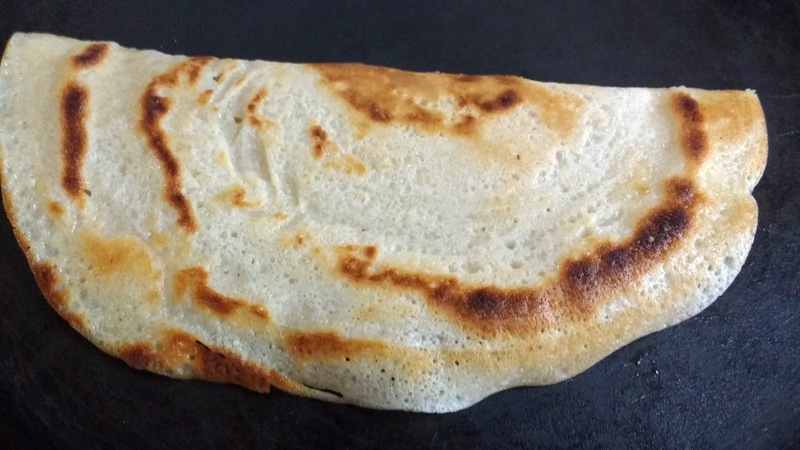 Enjoy light crispy dosas with coconut chutney! !